One of my favorite coffee bars in Stockholm belong to the chain Espresso House. They do perhaps not in general contribute to the great coffee scene but rather bringing up the average quality be serving a decent cup. 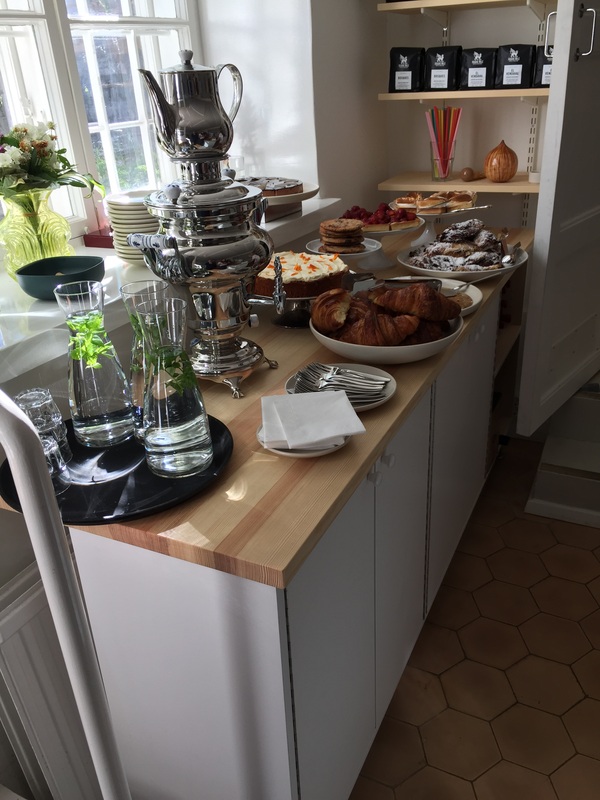 The location in Hötorgshallen is however their showroom and have both better coffee and more skilled baristas than their other locations. Hötorgshallen is a food hall in the center of Stockholm and this café is on the ground floor alongside several other restaurants and cafés and downstairs in the basement there are numerous vendors selling cheese, meat, vegetables, nuts, spices and many other things (there is even a Finnish specialty food store). In general a nice place to browse but it also means a lot of people moving through there so even if there is free wifi and some space to sit at Espresso house it is still not a really great place to hang out for a long period of time. The staff are however very knowledgeable and friendly so still like the place. The main thing is however the coffee. As all Espresso house they have coffee roasted by Solberg & Hansen but in addition to the normal range of five different coffees to select from they have an additional three to five different ones. Usually these ones are more interesting and smaller lots. 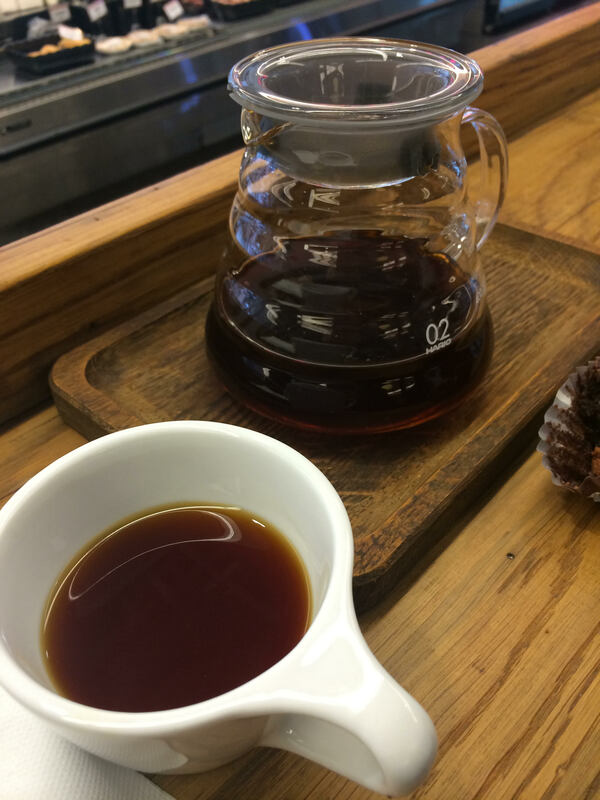 All coffees can be ordered as hand-brews and are very nicely prepared. The espresso based beverages are also good but I am not a super-fan of their espresso blend. 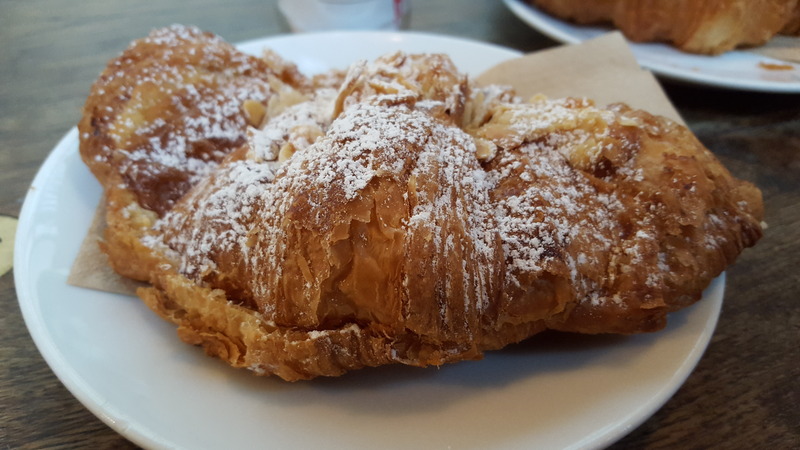 The food selection is virtually non-existent, only some cakes and pastries but they do kindly offer to grab some food from the other places and still sit and eat it at the tables at Espresso House. This pleasant little summer cafe in a residential neighborhood of Helsinki is really a pleasant addition to an already good coffee scene. It is in the basement of a house and has a few tables inside and plenty of seats outside. It is perhaps not where one would expect to find a café and with public transport it is not that easy to reach it. 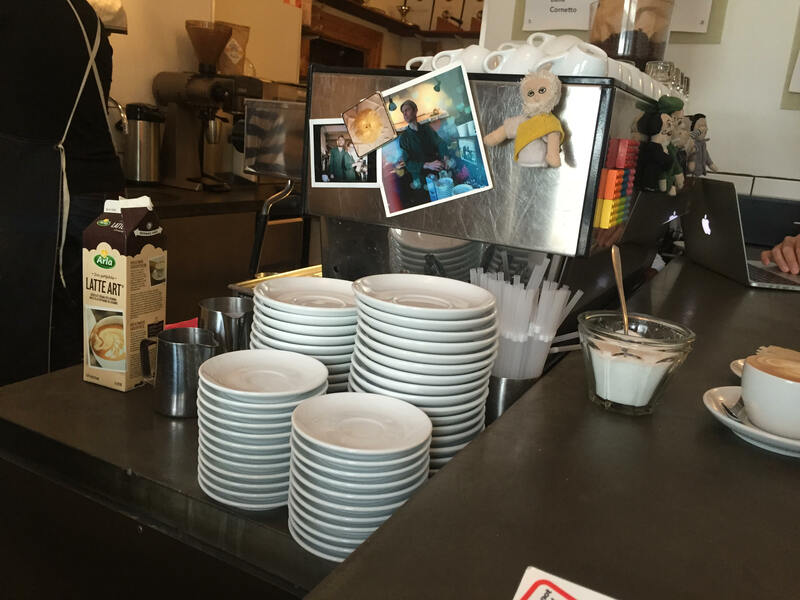 The coffee here varies from excellent to acceptable and much is dependent on who is making it and how busy they are. Occasionally the Finnish Barista Champion Kalle Freese is making the coffee and then the coffee is great. When he is not there they do not offer hand brews and the coffee quality gets more shaky. The batch brew is still good but in order to be a proper coffee destination they would have to be more consistent. 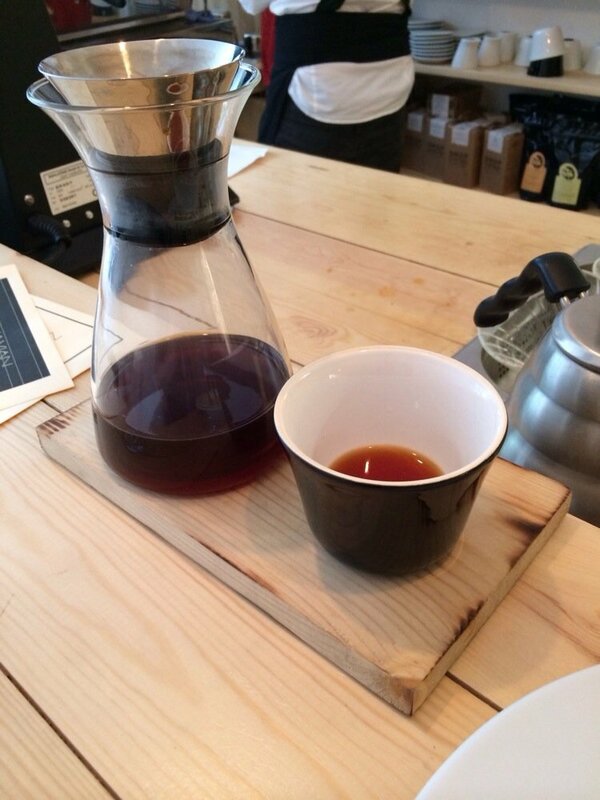 The coffee served has been from Blue bottle in San Francisco but upon my last visits it was instead from Square Mile. Nice to see some variety in what is offered. 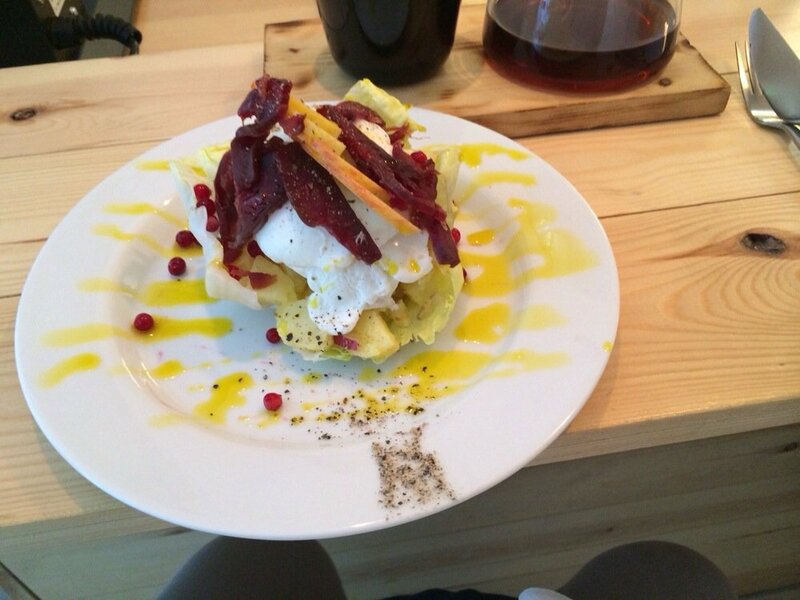 They also have some wine on offer as well as perhaps the main reason to visit, the brunch. 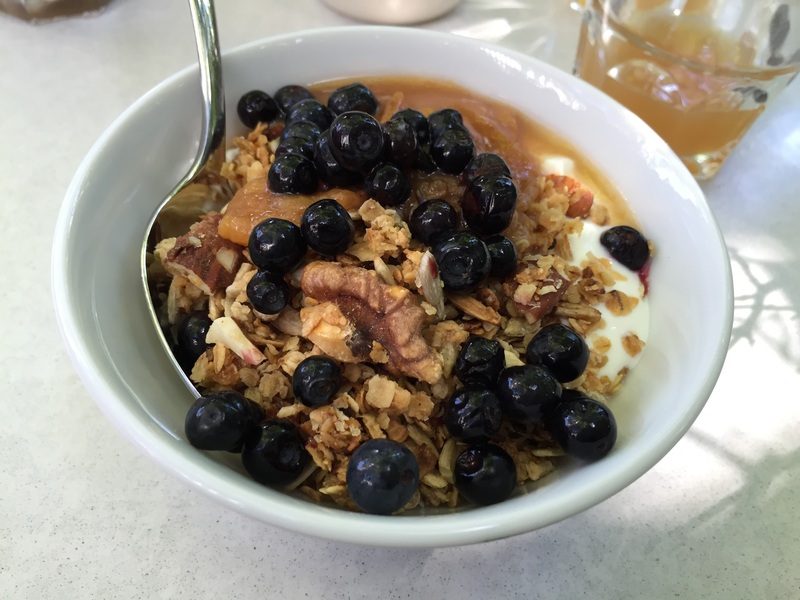 Superb brunch with perfect egg at 63 degrees (celsius that is) and yogurt with granola, avocado toast, apple juice and coffee of your choice. Pastries are also very nice. The setting is very nice and relaxing and the service is pleasant albeit a bit slow. No free wifi and weekend crowds eyeing your table even before you have finished your brunch does not encourage lingering. A place well worth visiting before they close at the end of Summer (hopefully they open next summer again). I am trying to return to some sort of order here in the posts for the so called Coffee Monday’s so today it actually posts on a Monday and with a real favorite both in terms of city and coffee bar. 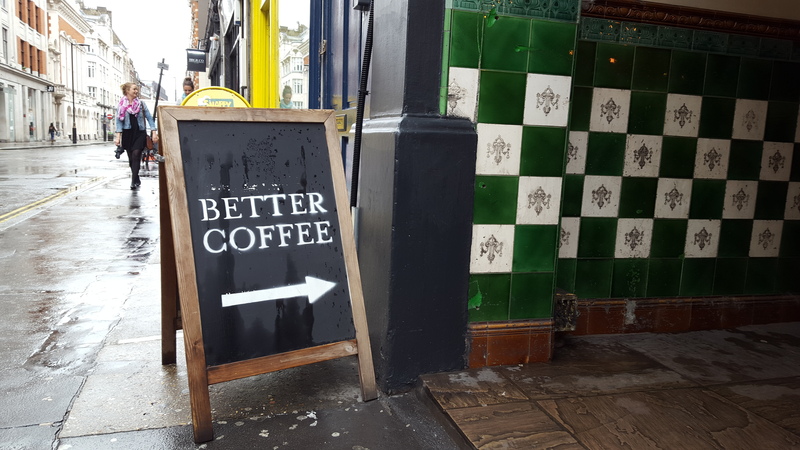 London is full of excellent places for coffee and I have a great many that I hold in high regard so naming one as the best is difficult. I do however hold Mother’s Milk as perhaps the best coffee quality. 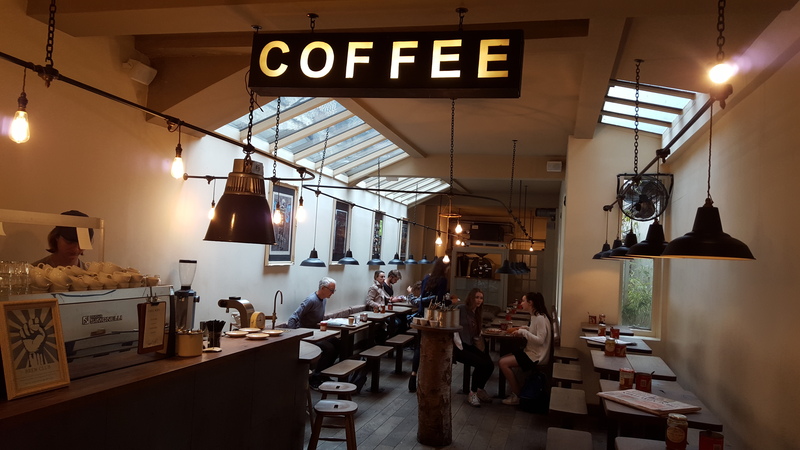 The place is located just a few blocks north of Oxford circus (12 Portland Street, W1W 8BJ) and it is a little gem of a coffee place. 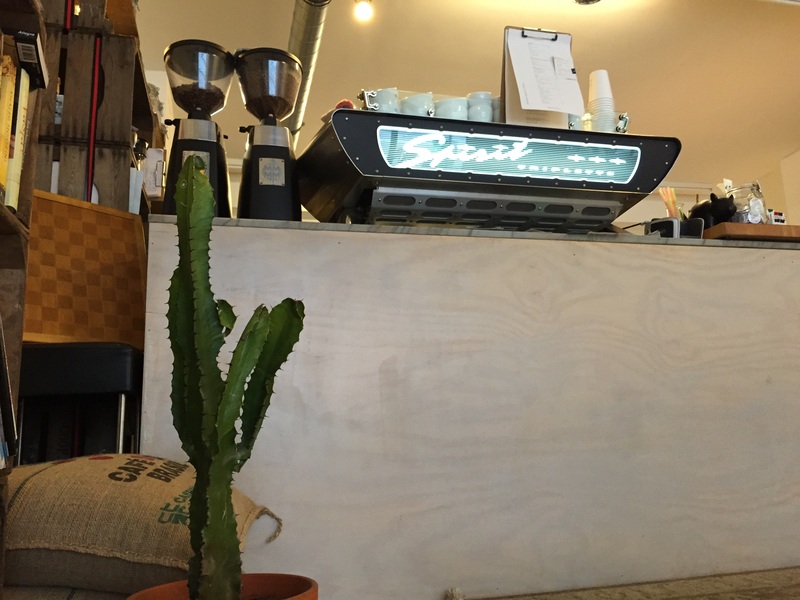 It is run by two experienced baristas who really know their coffee. It is a tiny place (3 seats inside and a bench outside) so much of the business is take out. The menu is simple and straightforward. Everything on there is £3 (espresso, espresso with milk and filter) and made on order. 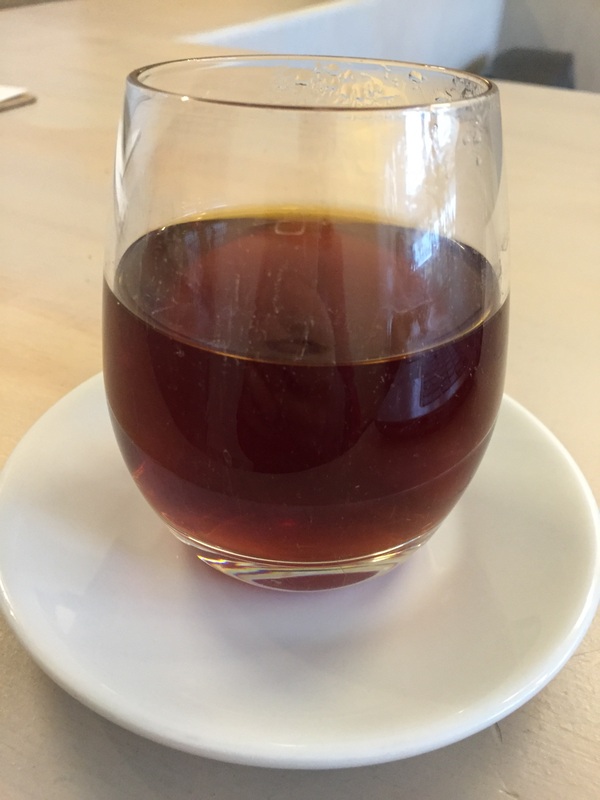 The coffee is from reputable German roaster JB coffee (same as Rapha used in the past – before they decided to both ditch quality coffee and good staff) so quality of the beans is great and since they know how to make coffee the result is top notch. 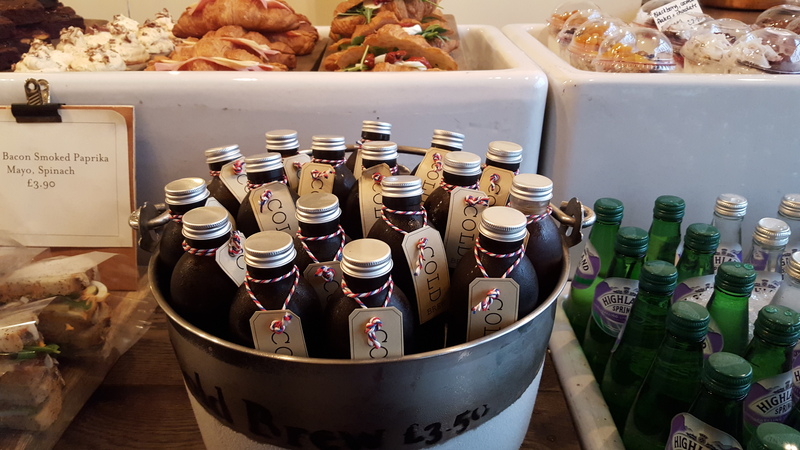 I have never had a bad cup of coffee here and usually stick to the excellent aeropress but the cold brew is also great. 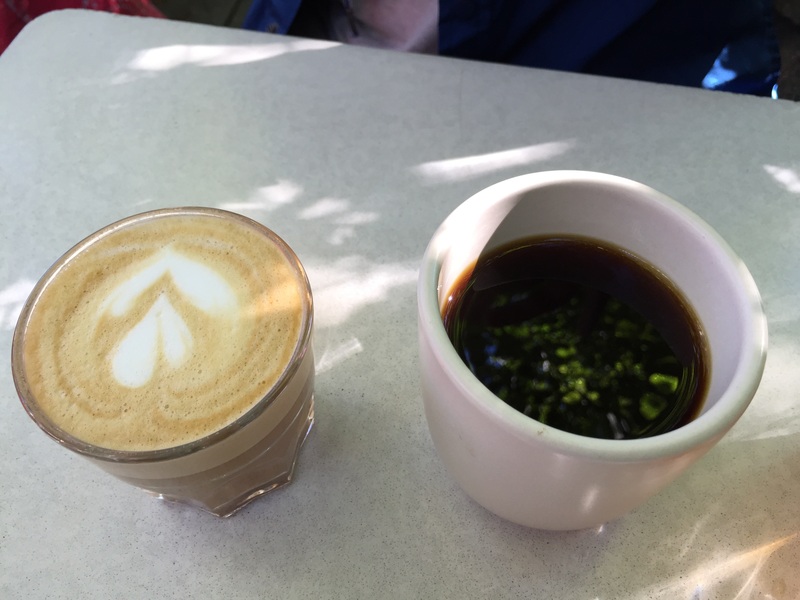 Service is friendly and it is nice to have a seat and chat a bit about coffee. There is no food at all so if you are after other things than coffee then this place may not be for you. There is also no wifi so not the place to linger for a day. I am a fan and they really started the trend of good coffee around this area(since then Curators and Workshop also opened close by) and it is nice to have a good place for coffee if shopping at Oxford Street. The main drawback is that they are only open weekdays but as the guys work elsewhere as well that is understandable.